uncover patterns of disparities that exist between countries. discover connections between variables that relate to disparities. 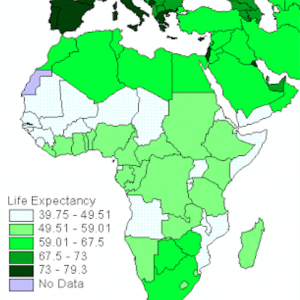 explain why disparities between countries exist. consider how key disparities between countries may be reduced. The Trading Game is an activity that helps to show how disparities are created and maintained. It is produced by the charity Christian Aid. What was your country? How well did it perform in the game? Why did your country perform so well/poorly? What happened in the game that mirrors what takes place in the real world? What might be done to make the game fairer in future? To what extent did trade help to reduce disparities in game? 2. Produce a choropleth (density shading) map to display your data. You will need printed A3 copies of the NASA World Map map outline. Choose a range for the group values you will use. 4 groups is probably best. 3. Describe any patterns that you can observe from the maps you create. The description should include; the overall pattern, specific details using data from the map and the identification of any anomalies. 4. Now compare your map with three other maps produced by your classmates. Are the patterns similar? Why ? Using 3 data sets that reflect quality of life, construct an index that will order the countries identified in Activity 2 according to their level of development. Rank the countries based on this data – Add the 3 columns/divide by 3 – use these numbers to rank the countries – What patterns do you observe about these countries?